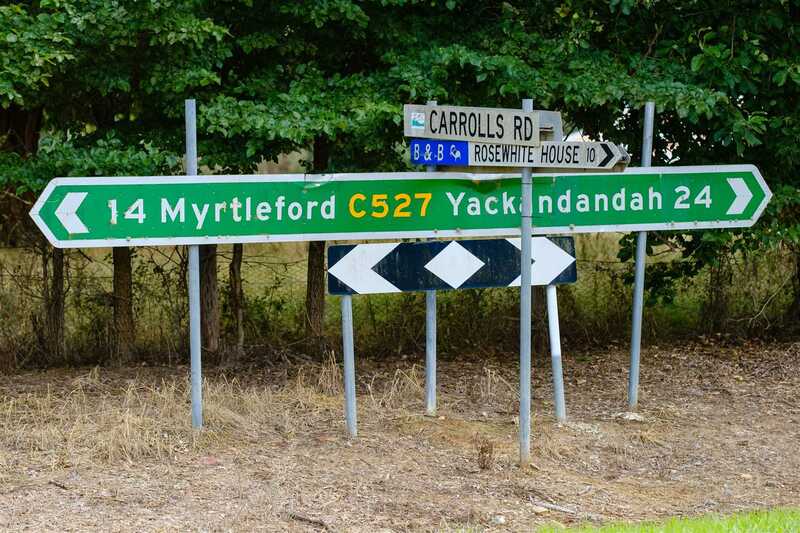 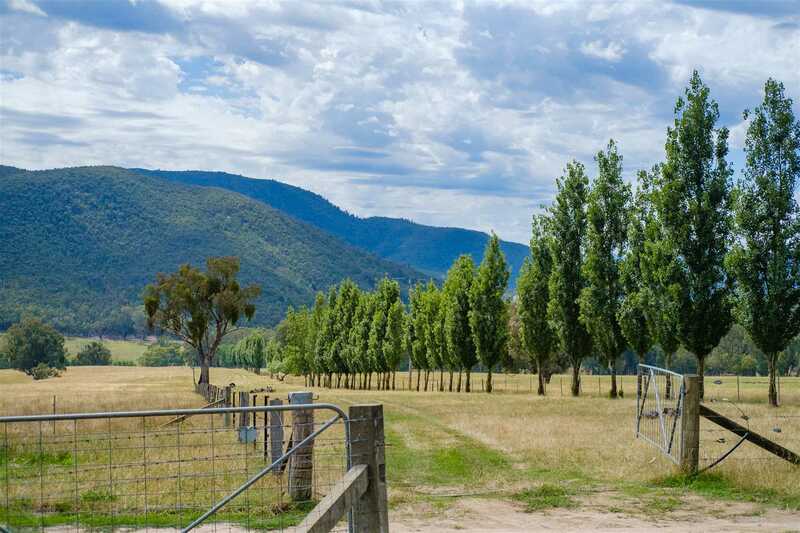 Nestled in a prestige location this private 189 acre farm in Mudgegonga is located 15 km to Myrtleford and 59 km to Albury/Wodonga. 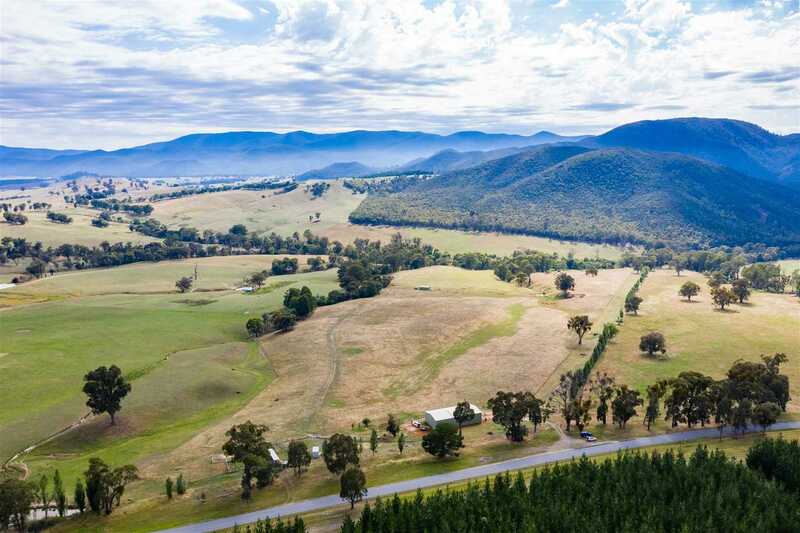 This farm is truly a rare large parcel of Mudgegonga country that could run a variety of agricultural enterprises, from, nuts, truffle production, vineyard, berries or organic beef. 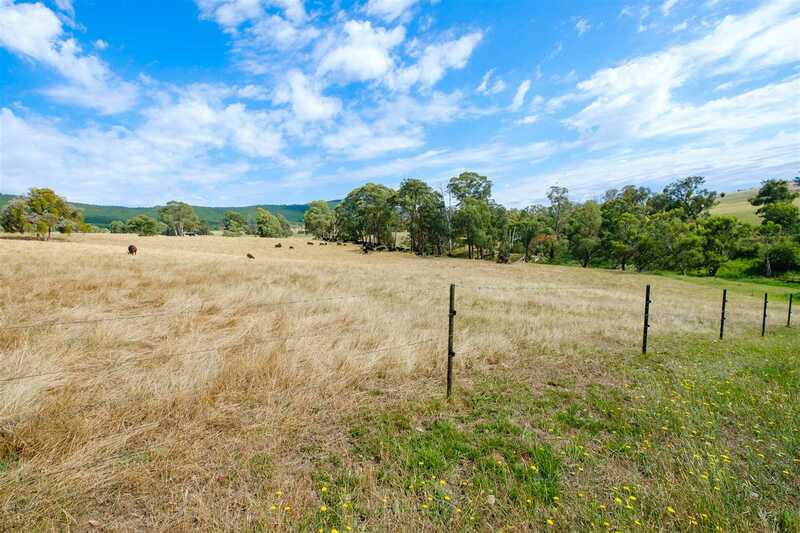 This highly sort after land can boast substantial hay production and is well suited to breeding or fattening cattle. 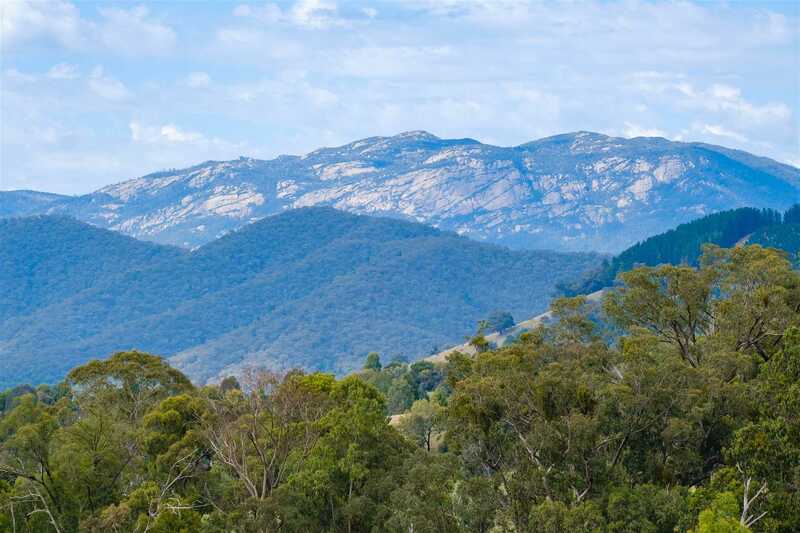 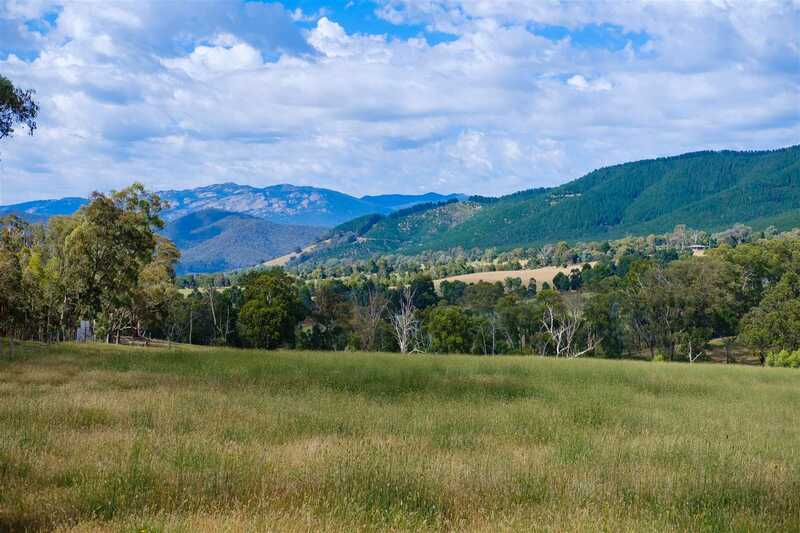 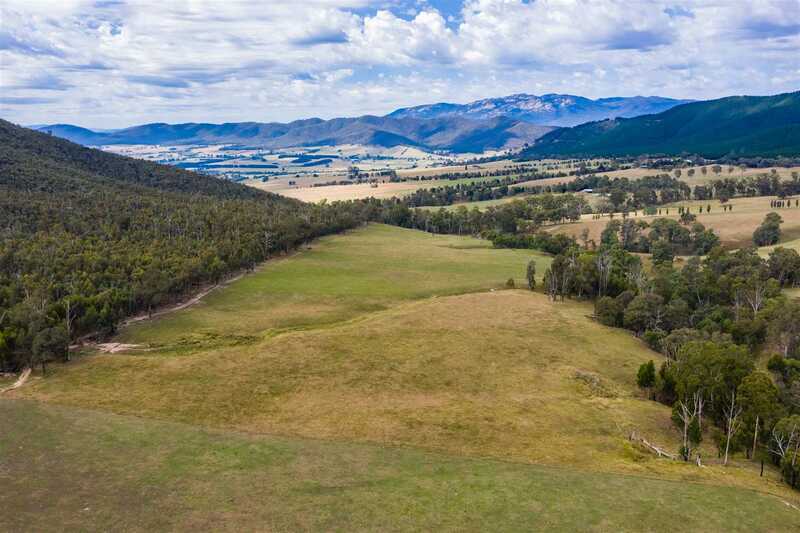 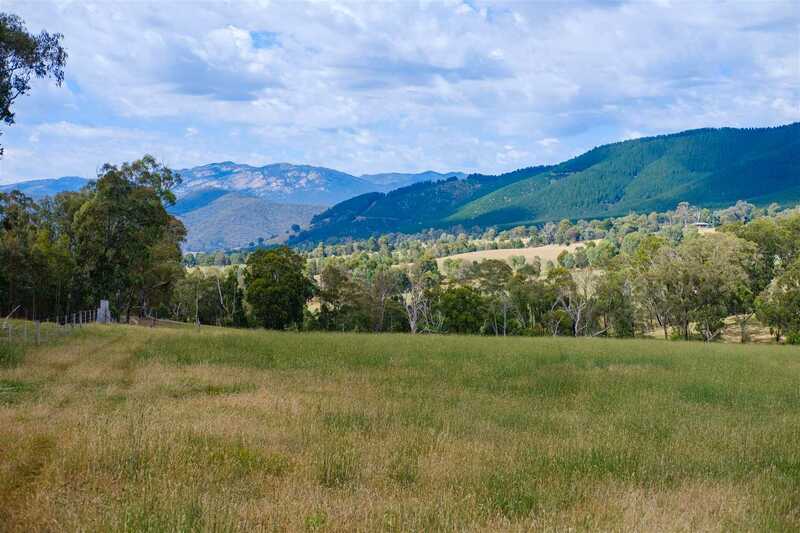 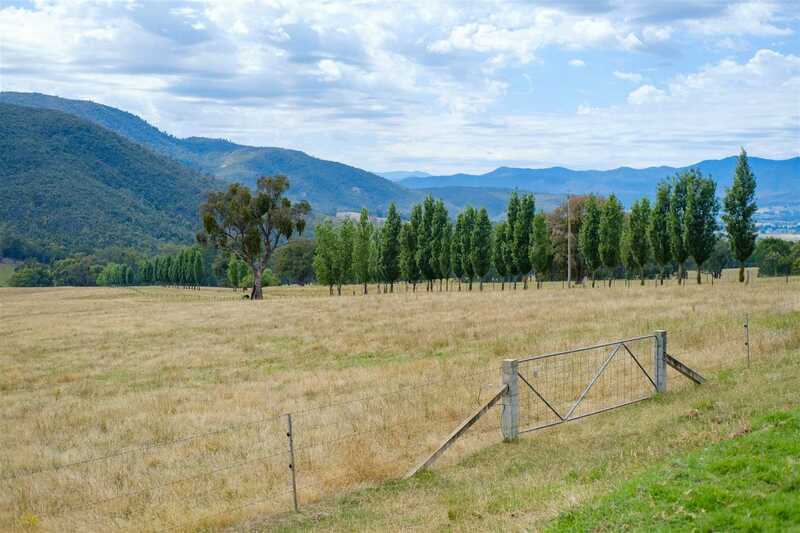 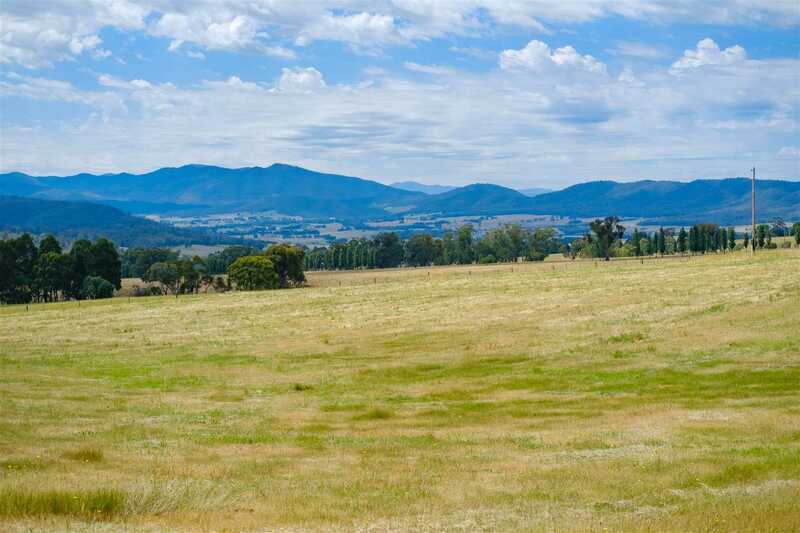 A most desirable location with premium views of the Majestic Victorian Alps, this heavy carrying farm is situated in the 40-inch rainfall zone and consisting of red and grey/brown loam soil with approx. 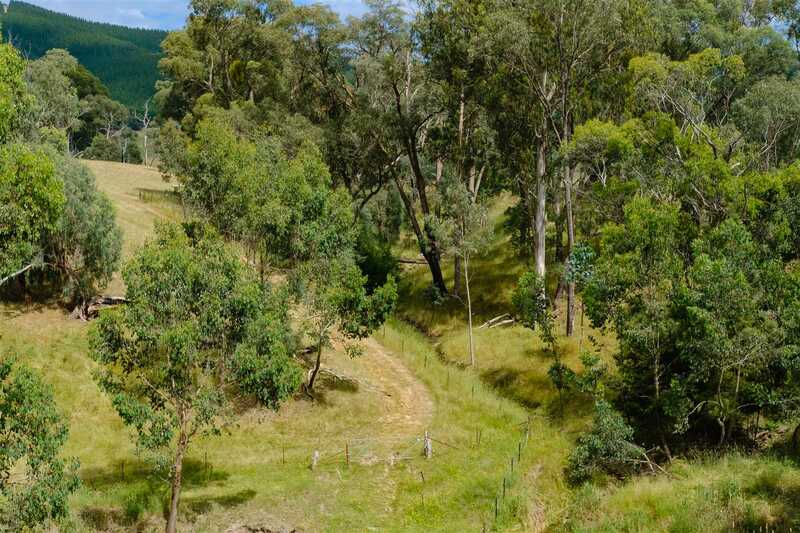 1 km of absolute creek frontage. 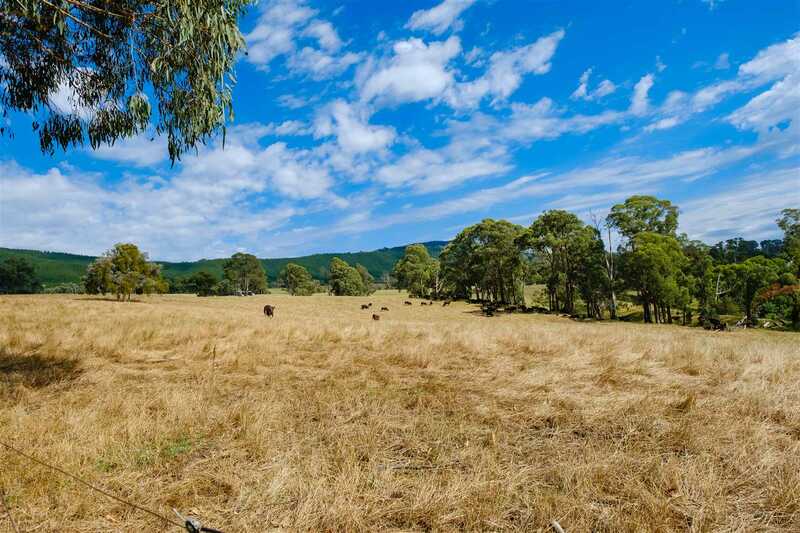 The property has a sound history of super and lime inputs as well as improved pastures of phalaris, clover, rye and oats. 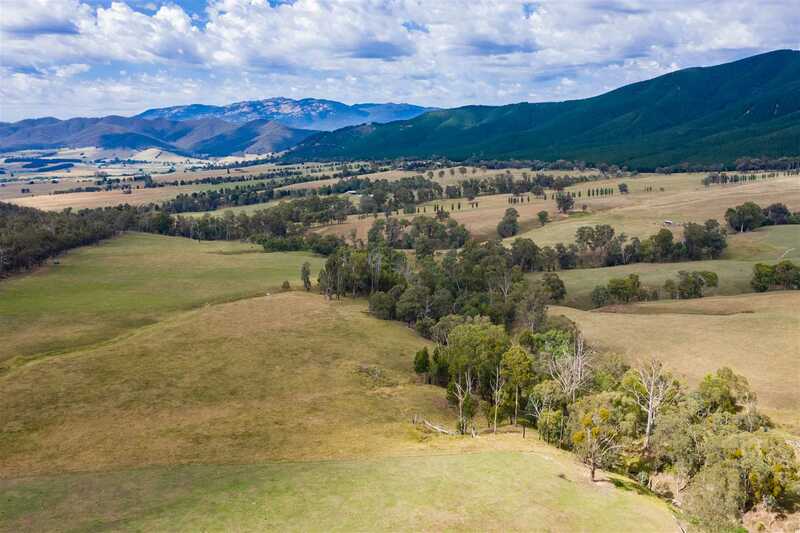 A planning permit for a Homestead is available with numerous locations on the property which will provide incredible views of Mt Hotham, Falls Creek, Mt Buffalo and Rose White Valley. 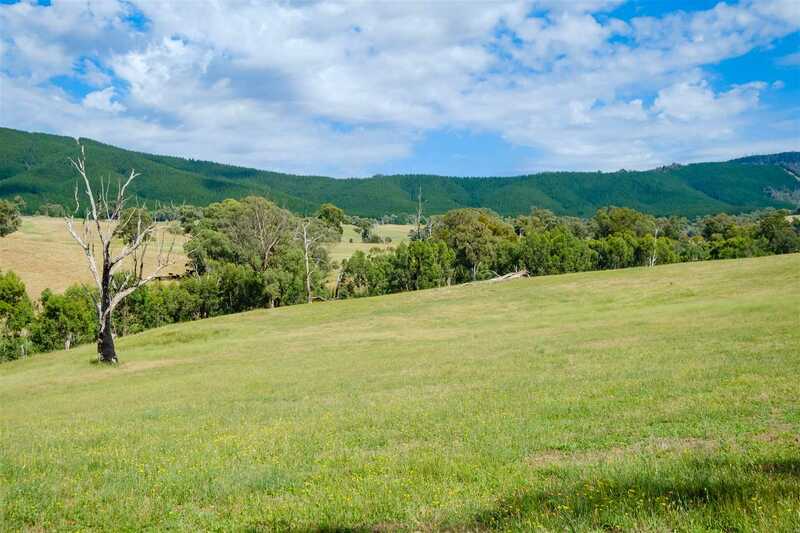 - 76.2 Ha (189 acres) on one title with an additional 9 acre DSE lease fenced as a laneway with frontage and access to Carrolls Road. 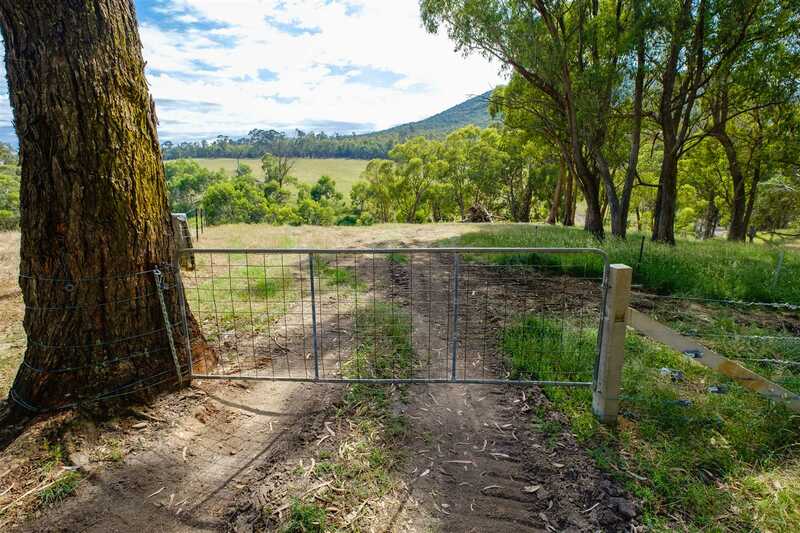 Excellent number of well-established trees for shelter with access to the property via all-weather roads and connecting laneways. 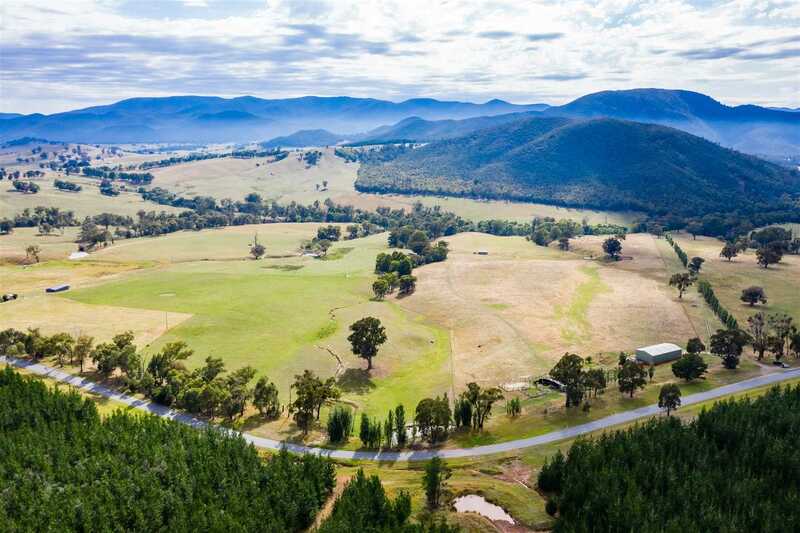 - This breathtaking property is secured with excellent fencing (95% new) and 95% electrified, including approximately 16 paddocks plus cattle yards. 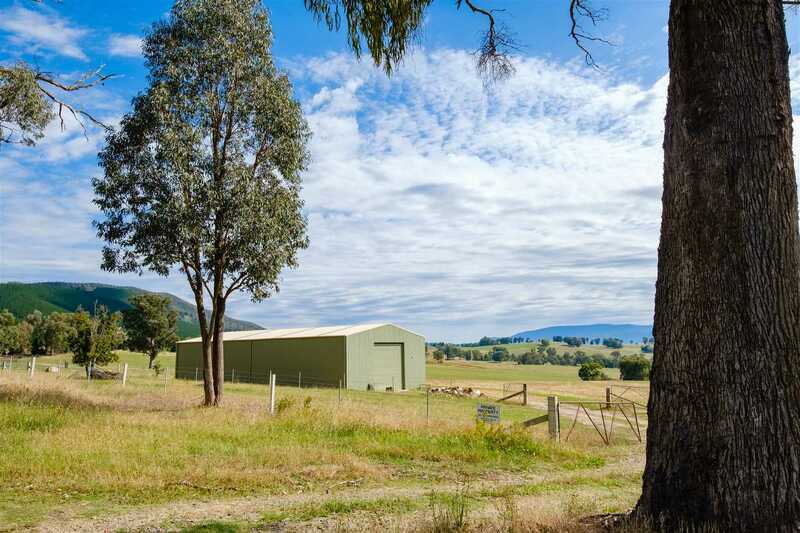 - Machinery shed approx. 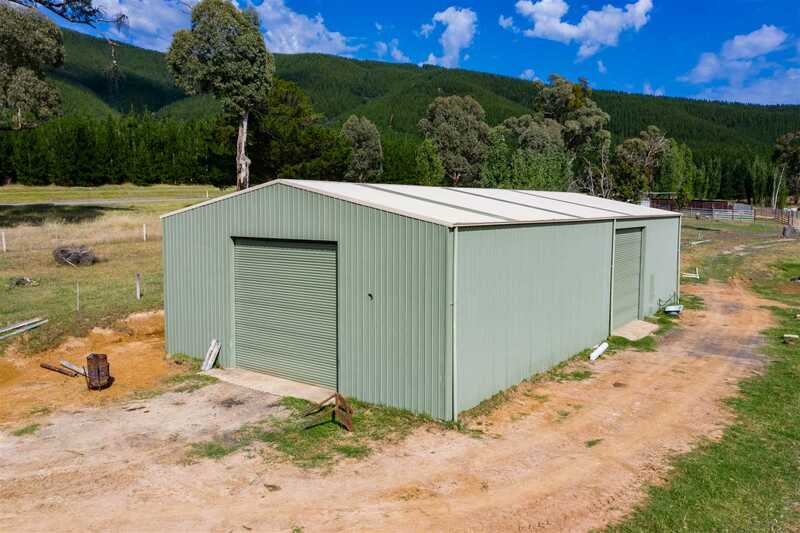 24mts X 12mts x 6mts including a mezzanine floor (2 large roller doors) one bay 150mm thick concrete for heavy equipment-including racking. 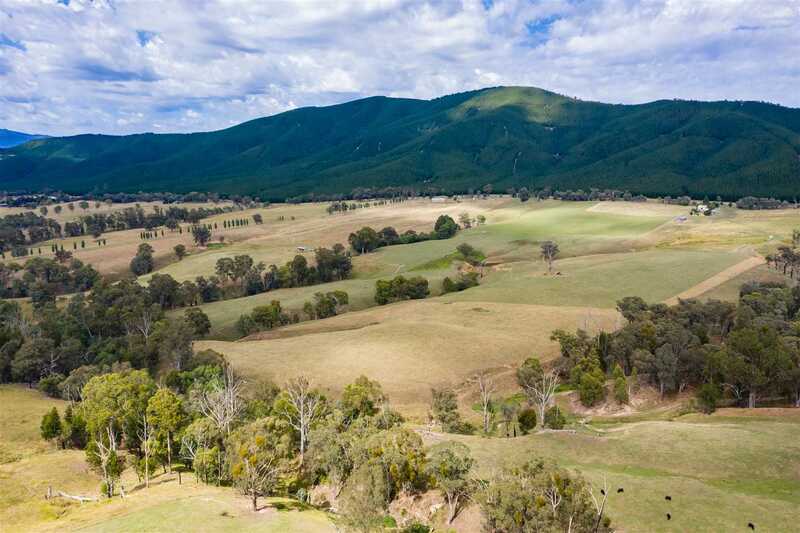 Flat area to build a 110,000 litre water tank. 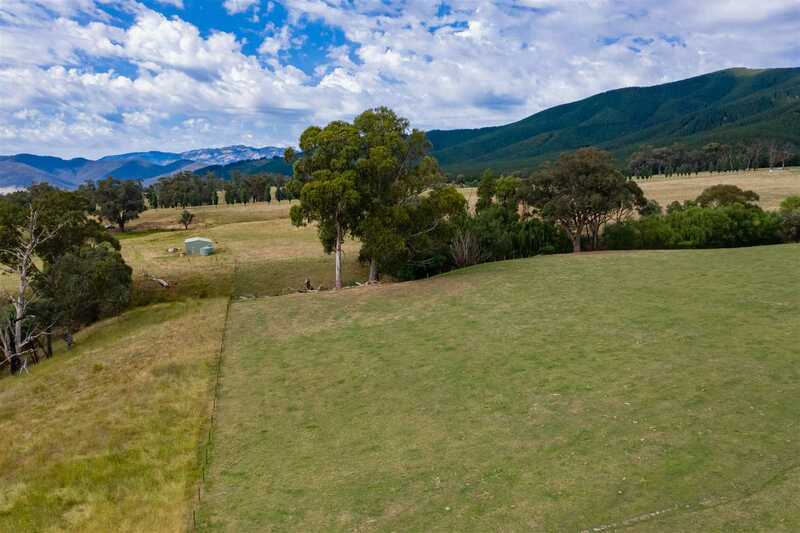 Shed has new septic tank installed and approved plus pipes into shed for a toilet and shower. 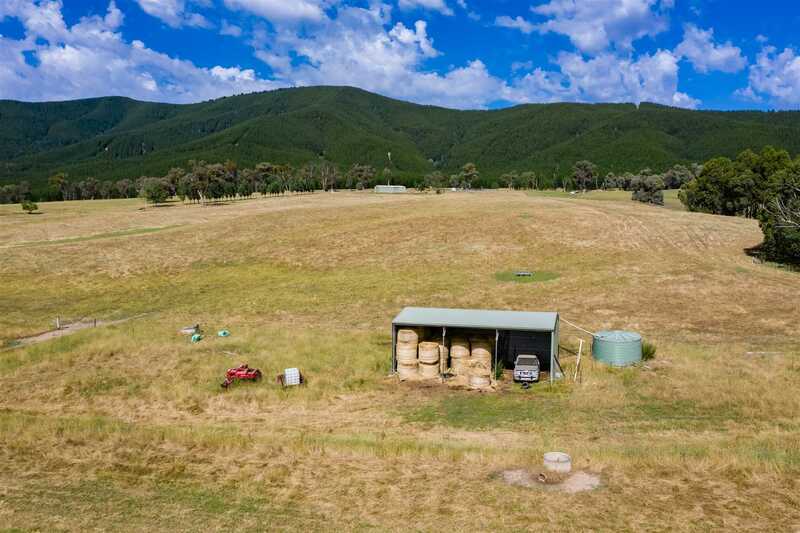 - Hay shed holds approx. 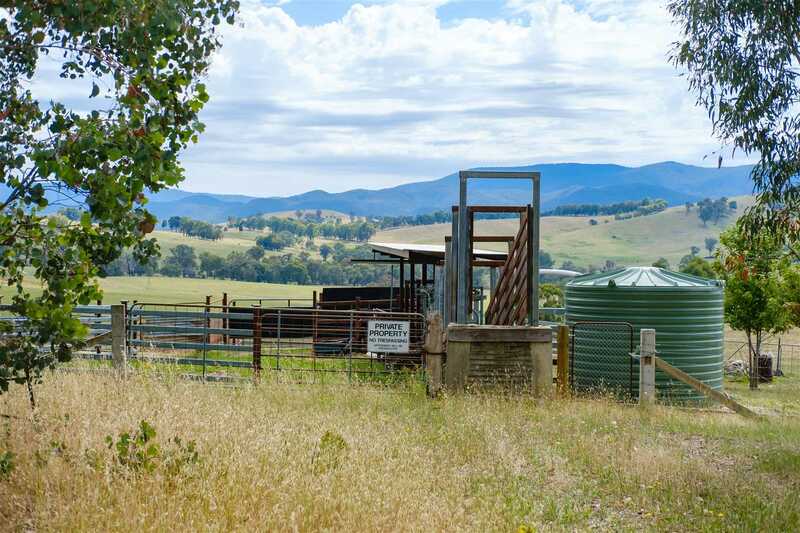 72 round bales and includes a 22 thousand litre plastic water tank feeding a concrete trough. 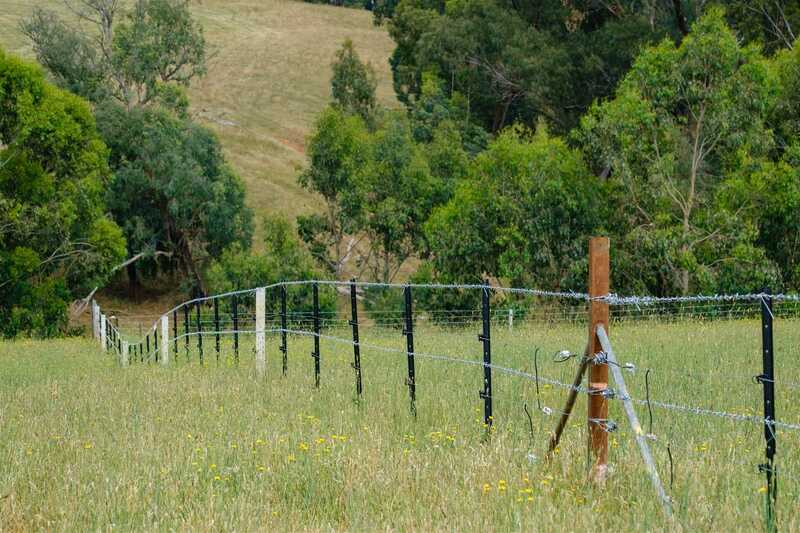 - Unlimited water supply from the creek for agricultural purposes. 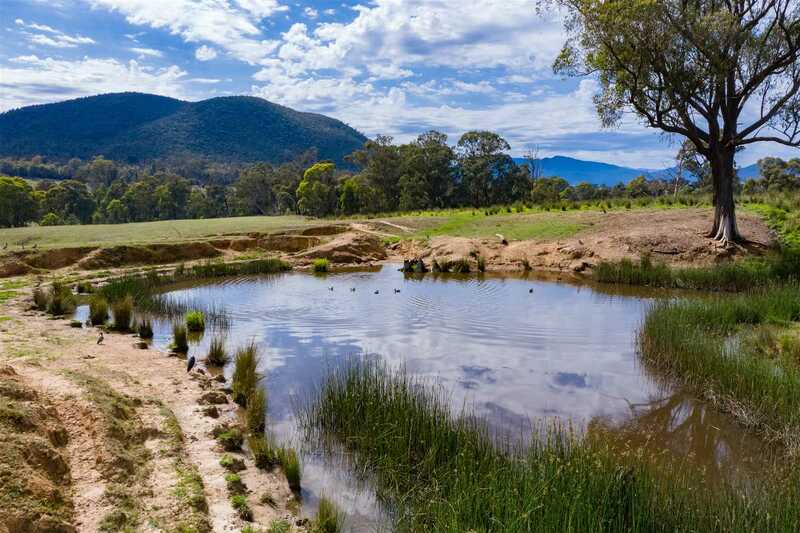 There are 6 dams in total spalling throughout the property - 3 large capacity dams including new spill ways, 3 medium dams, 3 reticulated water troughs. 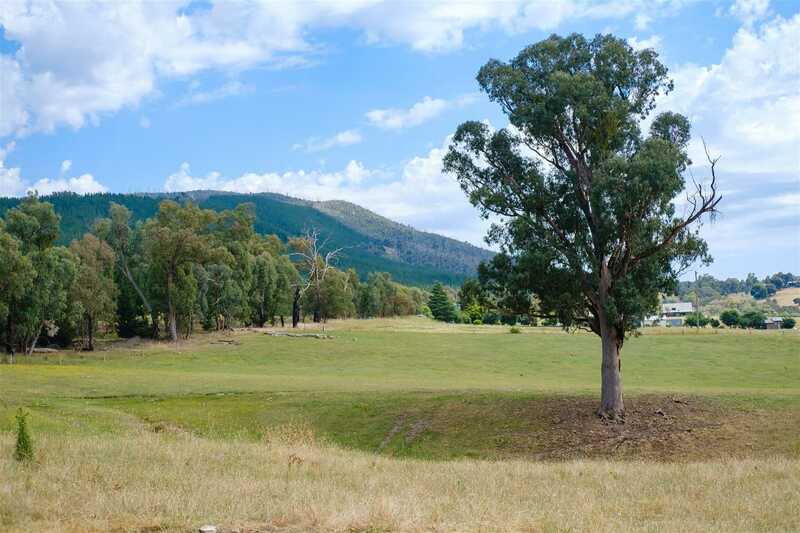 The property is located in a high rainfall zone with constant springs throughout the property. 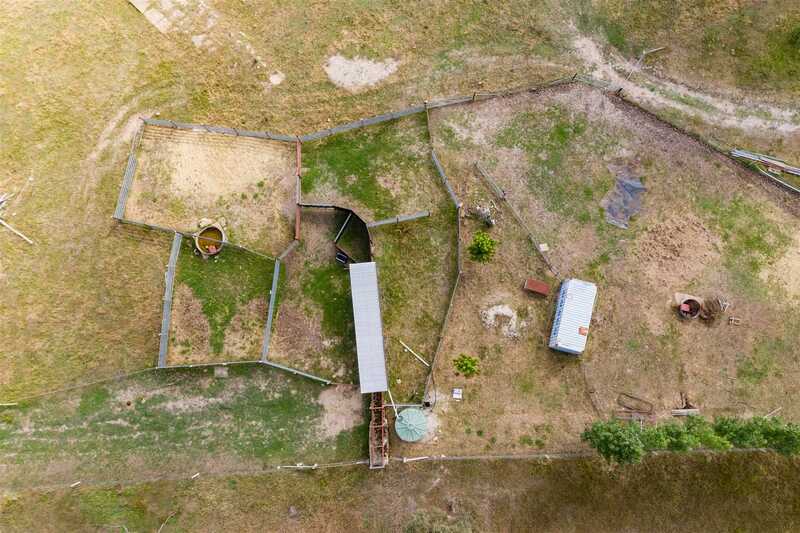 - 5 pens, Galv Vet Crush and head bales plus cattle holding yard. 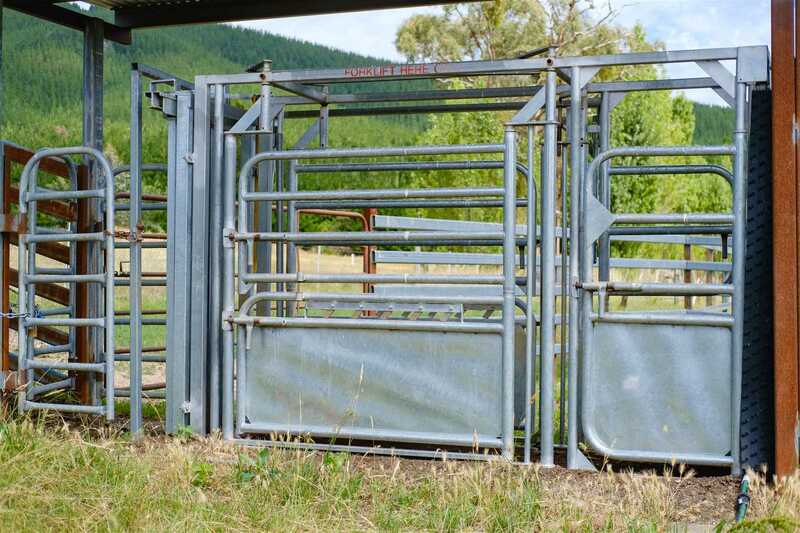 (Holds 200 head) New plastic water tank feeding troughs in cattle yards. 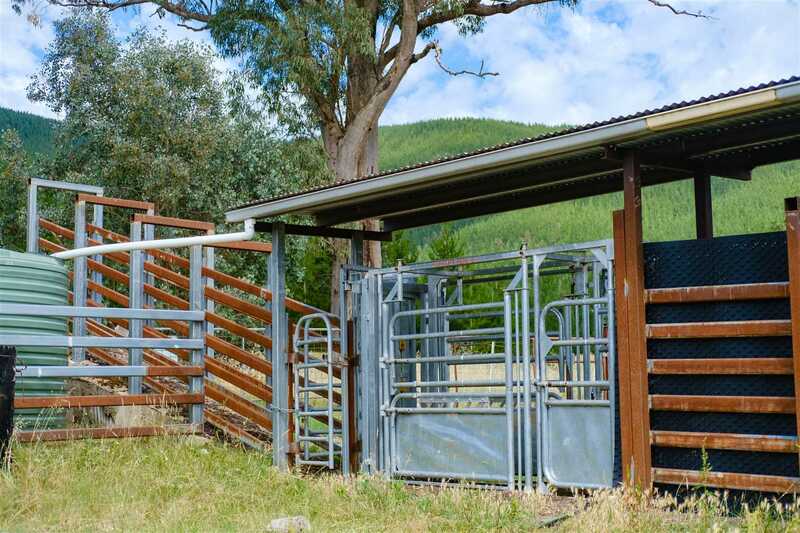 700 sqm area with loading ramp, part under roof. 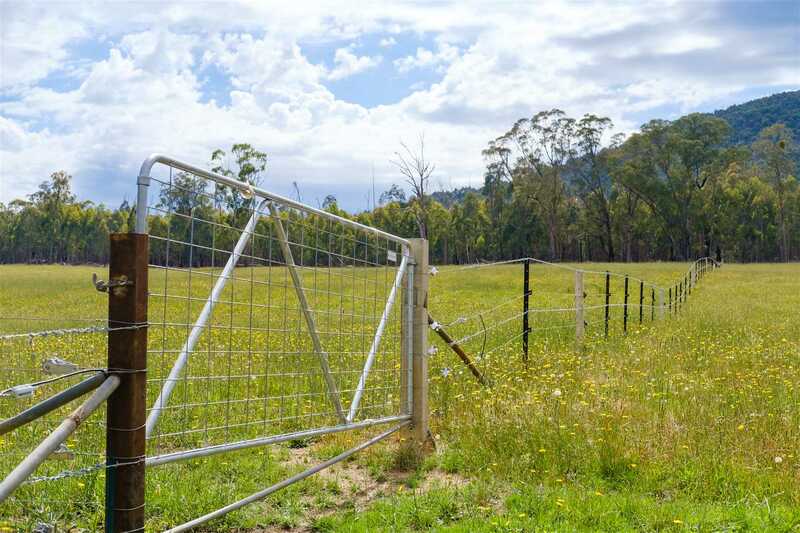 All yards have been manufactured using heavy steel posts concreted in and rails are galv cattle rail. 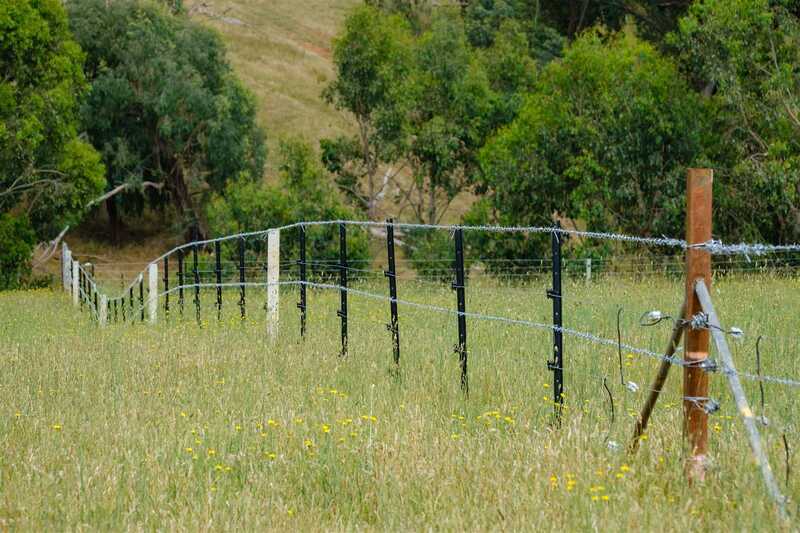 - 2x 0.5 km of new electric fences have been installed, 3 new dams, 3 dams deepened and cleaned for better water improvements (6 dams in total), Creek crossings upgraded with new access roads to pastures including widening of the roads. 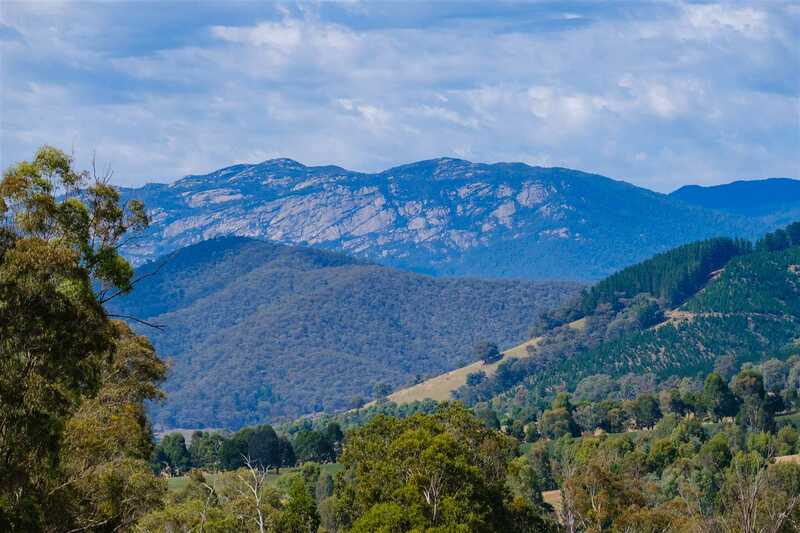 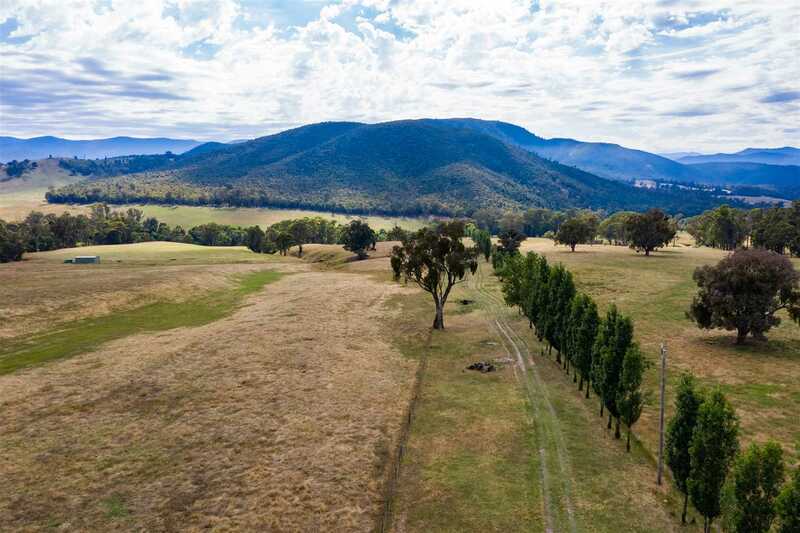 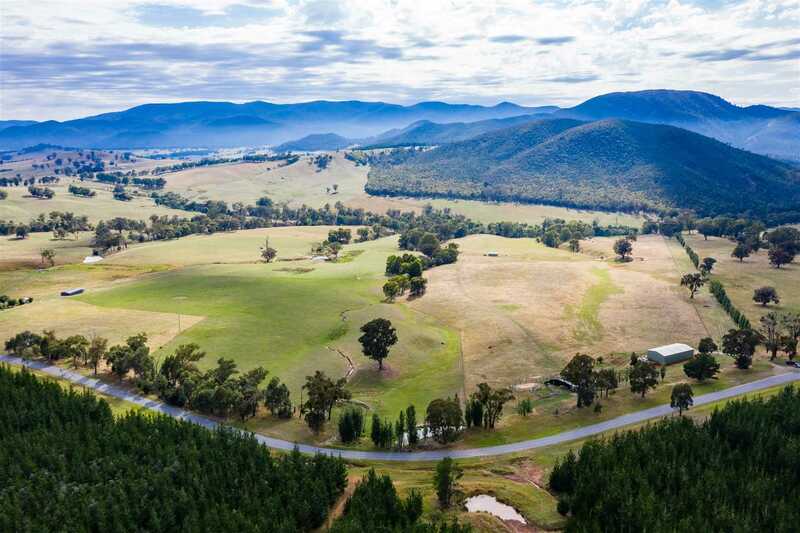 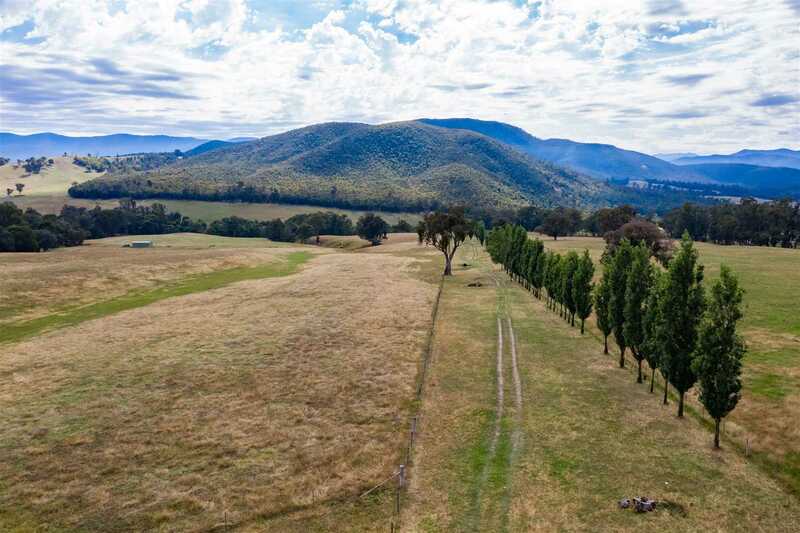 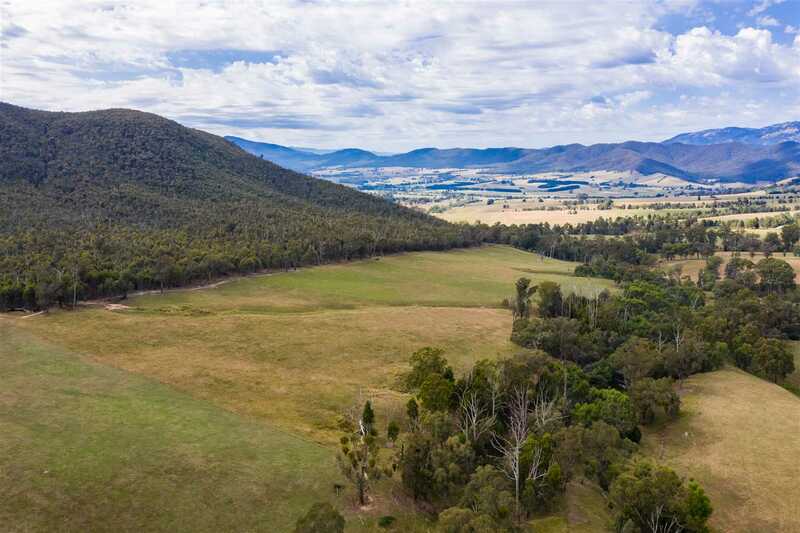 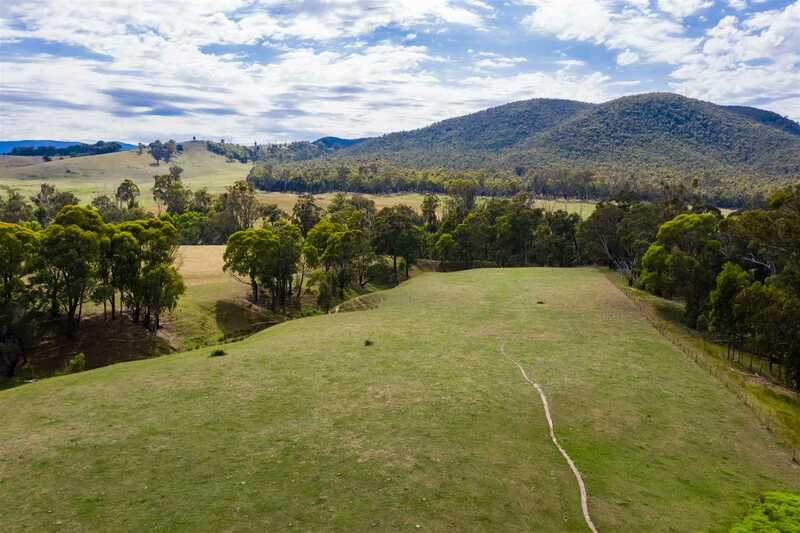 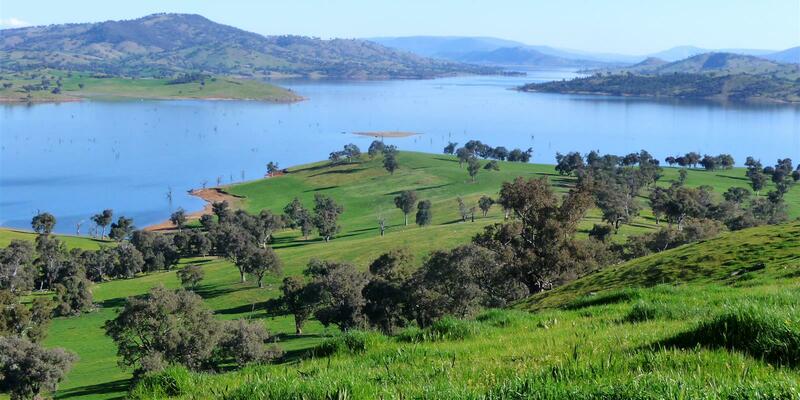 This presents a fantastic opportunity to add to your current holdings or build your dream Country Homestead with possibly the most sort after Alpine Views in Australia.